中國扇子舞 Chinese Fan Dance / 20090921.10D.54429.P1.SQ / SML, originally uploaded by See-ming Lee 李思明 SML. Thanks again to See-ming Lee for uploading this to the BViB photo pool. 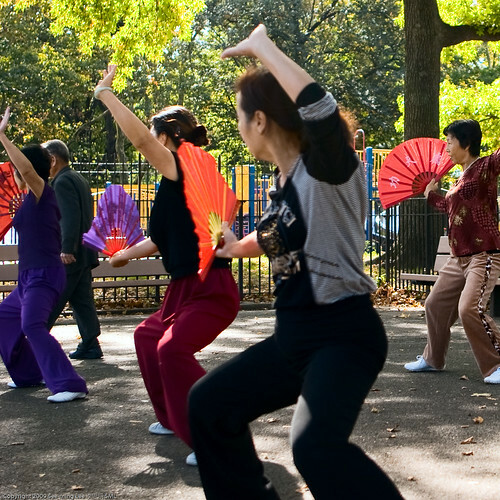 It's always fun to see the fan dancers rehearsing in the park.